Being a parent is wonderful. But it is a wonderful, difficult, rewarding challenge! 24 hours a day, 7 days a week, 365 days a year... Sometimes, it can be really hard to come up with ways to entertain your little ones and not have them sit in front of the TV all day. 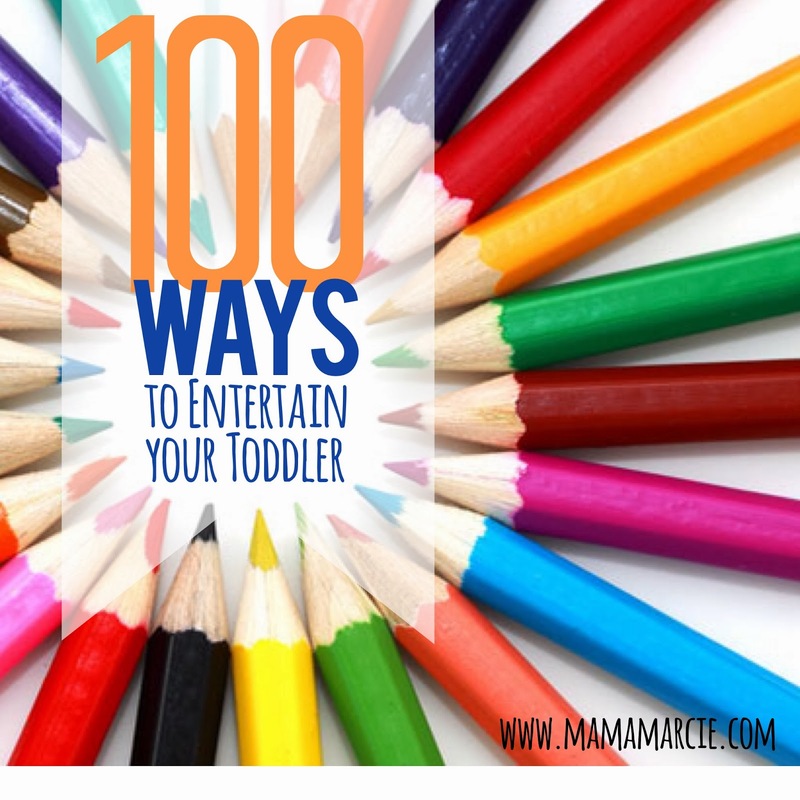 So, I have been brainstorming 100 things to do with your kiddo. Obviously not all of these are appropriate for every situation. Some days you might have more time, some days you might have less money... we get that. But hopefully this will spark some creative ideas for you. Have any to add to the list? Comment with your suggestions! Play a game. I highly recommend the Roll and Play Board Game. Play a Letter Game - name all the things you can think of that start with a particular letter. Play Mommy (or Daddy) - baby dolls, play stroller, etc. They love you and want to be you! Make animal noises - how many animals can you think up? Test out some magnets - what do they stick to? Play Simon Says (or a version of the game, at least) "Simon says, hop. Simon says, crawl"
Mirror play - something so simple can be so fun. From just looking in the mirror to drawing on it with a dry erase marker. Make a light box and find things that the light will shine through. Write a story. Start with "Once upon a time..."
Let your child help sort socks. Can they find all the matches? Snuggle! Spend some precious time with your babies that won't always be babies. Many of these activities are Montessori inspired. My friend, Catalina, from Art of Peace Montessori School says, "Allow your toddler to join in real daily daily activities it makes them feel happy contributors of the home and community: washing dishes, feeding pets, setting the table, etc. All of these activities are special and can be really fulfilling and important to their physical emotional and spiritual and cognitive development. One way to make them special is to buy real child size tools from Montessori catalogs along with beautiful aprons for each activity. Children love doing real jobs and having special aprons of their own." I hope you find some inspiration here for things to do with your child on this list. I also hope that you stop and do a few of these things WITH your child, not as just a means to keep them busy. It's pretty amazing how much wonder and excitement we can find as adults when we stop and see things from the point of view of our child.